Convert PDF to Office document. Convert PDF to HTML, XML, EMF, PS, and EPS. 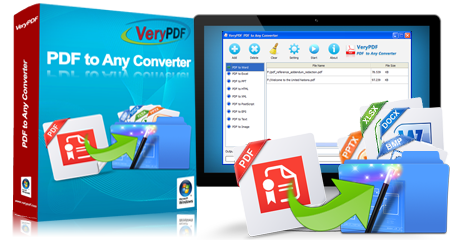 VeryPDF PDF to Any Converter (GUI and Command Line and SDK) is a multifunction conversion application that can convert PDF to Office document, HTML page, plain text and images. You can download and buy the application in this page.